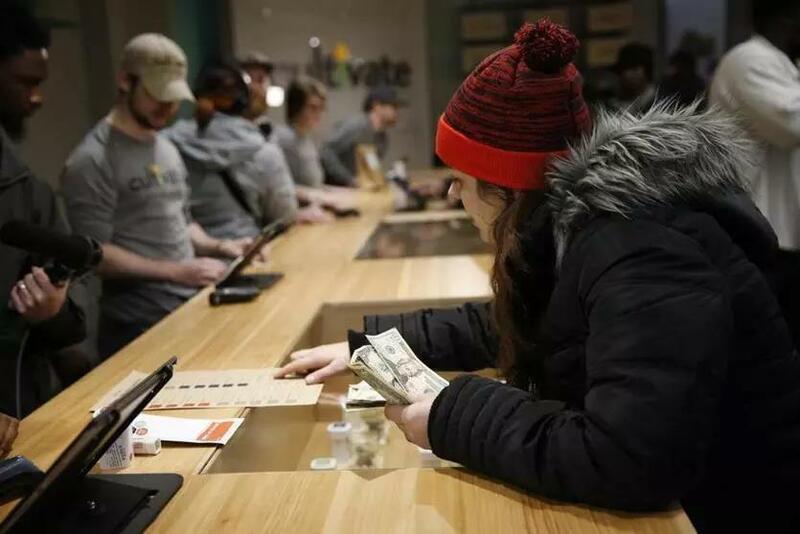 Brittani Beeso, 23, of Worcester purchased marijuana at the opening of Cultivate, one of the state’s first two pot shops, in Leicester on Nov. 19. It is not in the least bit surprising that revenue from marijuana sales is not what was initially projected (“So far, legalizing marijuana isn’t paying off in Mass.,” Page A1, March 20). The voters in Massachusetts legalized the sale of cannabis the same day Donald Trump was elected president. When the state finally rolled out sales, the stores were in remote locales like Northampton and Leicester, nowhere near our cities and not accessible by public transportation. How were people actually supposed to purchase it when it was not even readily available? If the state is incapable of making the product available to the millions of consumers who voted to make it legal, it will be impossible to collect the massive amount of taxes other states have been able collect. There are a myriad of problems that could be fixed with the tax revenue from marijuana sales if the state would get its act together and start selling it where people have easy access to it. By doing this, it would get dealers off the streets and cartels out of the country, and people who are relying on opiates for pain could switch to the much safer cannabis.